Hey guys - have another opportunity to catch what looks like a super interesting movie for free. The documentary Muscle Shoals will be hitting Seattle starting this Friday at the Landmark Harvard Exit Theater. Due to the generosity of the film's internet benefactors I have five pairs of tickets to give away for the opening night screenings. If you'd like to throw your hat in the ring just send an email to 'contest @ randomwalkthroughfilm.com' with your name and email address by 5pm PST on Thursday October 17th. After that point I'll randomly select 5 winners to check out the movie at the Harvard Exit on the 18th. By entering of course you assume any and all risks of attending, agree to be cool about mild issues that may come up and behave yourself in the theater. All the usual stuff. I haven't yet seen Muscle Shoals but have been meaning too since seeing the promotional trailers. I've included a brief synopsis, a trailer and the film's various standard sources of additional info below. Located alongside the Tennessee River, Muscle Shoals, Alabama is the unlikely breeding ground for some of America's most creative and defiant music. Under the spiritual influence of the "Singing River," as Native Americans called it, the music of Muscle Shoals has helped create some of the most important and resonant songs of all time. 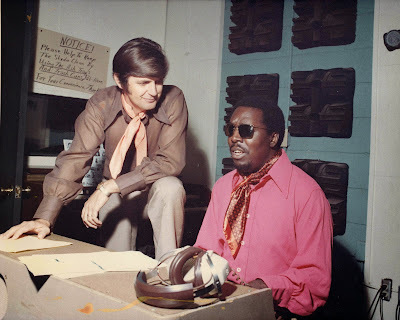 At its heart is Rick Hall who founded FAME Studios. Overcoming crushing poverty and staggering tragedies, Hall brought black and white together in Alabama's cauldron of racial hostility to create music for the generations. He is responsible for creating the "Muscle Shoals sound" and The Swampers, the house band at FAME that eventually left to start their own successful studio, known as Muscle Shoals Sound. Greg Allman, Bono, Clarence Carter, Mick Jagger, Etta James, Alicia Keys, Keith Richards, Percy Sledge and others bear witness to Muscle Shoals' magnetism, mystery and why it remains influential today.